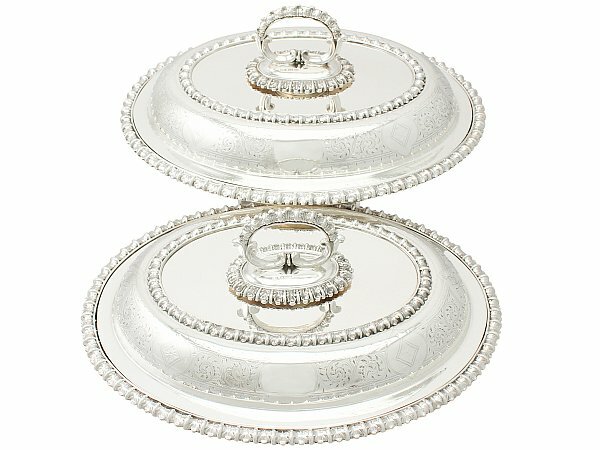 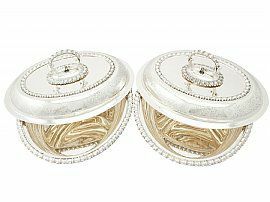 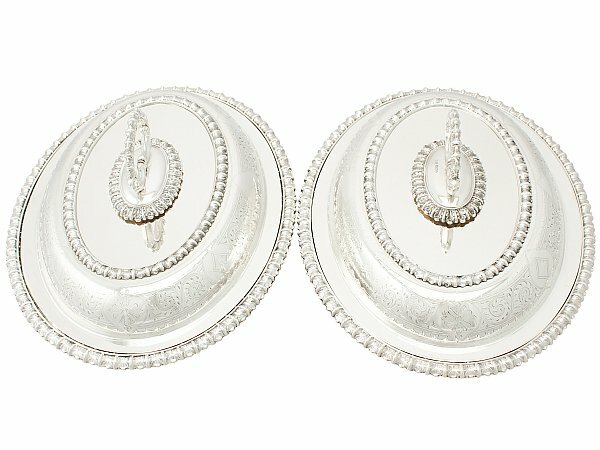 These exceptional antique Victorian sterling silver entree dishes have a rounded oval form. 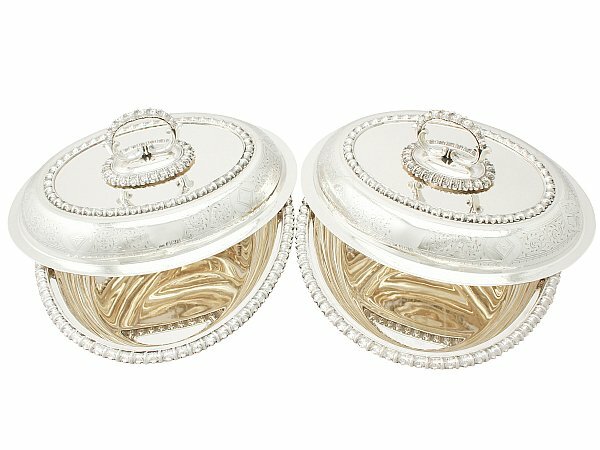 The surface of each cover is encircled with a fine band of bright cut engraved stylised scrolling leaf and undulating line decoration incorporating lozenge and floral shaped motifs. The decoration to each dish incorporates a vacant cartouche to either side. 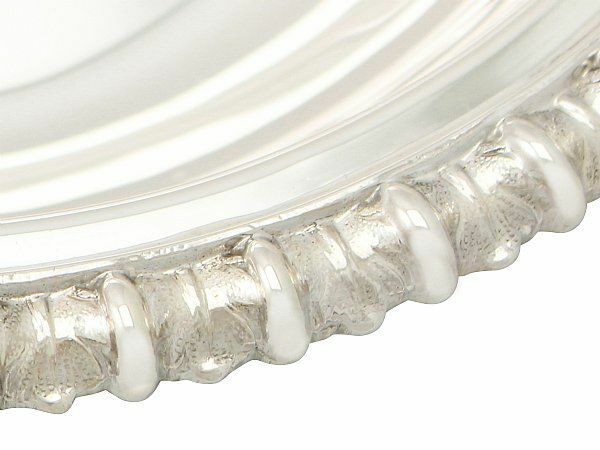 The surface of each base and the interior of the covers are plain and unembellished. The rim of each entree dish base, in addition to the upper surface of the covers are encompassed with an applied stylised Roman leaf border. 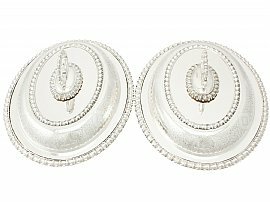 Both covers retain the original fine and impressive fully hallmarked key fitting detachable shaped scrolling handles ornamented with further applied stylised Roman leaf borders. 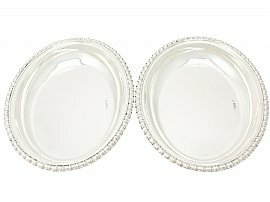 These antique silver dishes with covers are an exceptional gauge of silver, exceptional quality and in excellent condition. 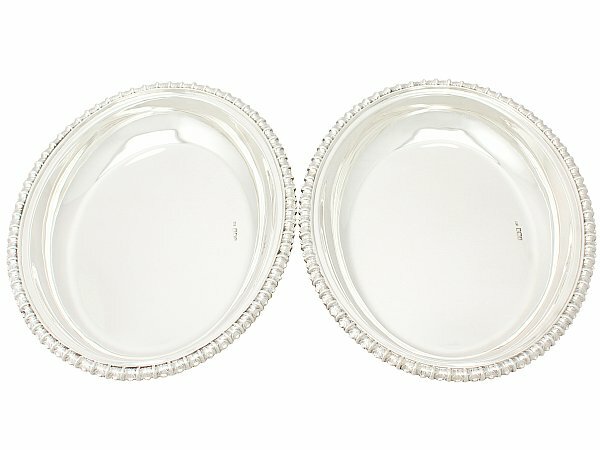 Each large entree dish has been professionally polished. 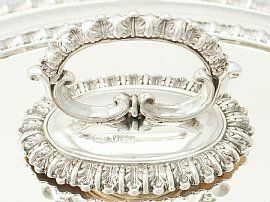 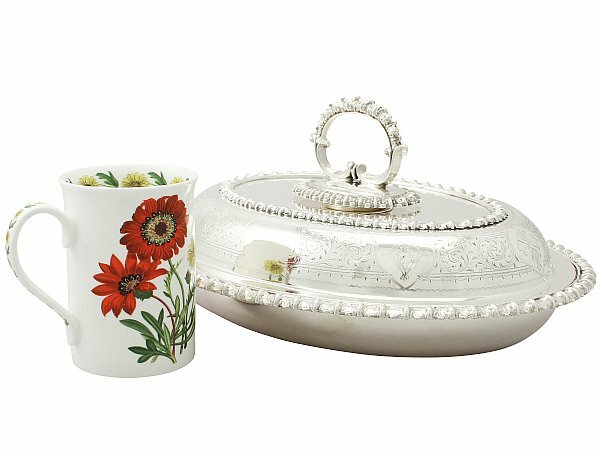 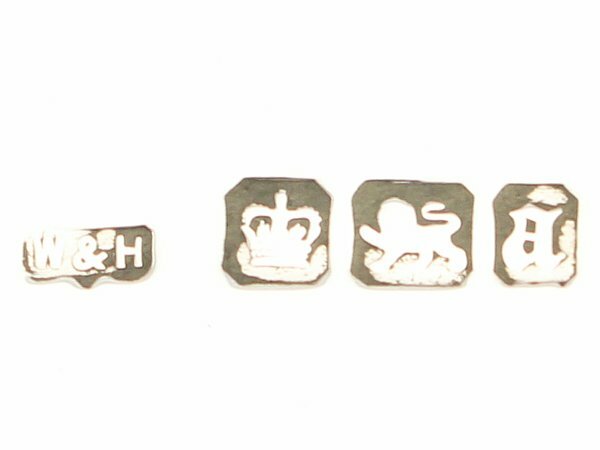 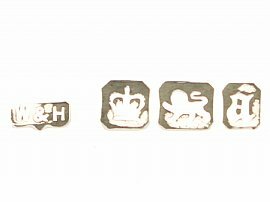 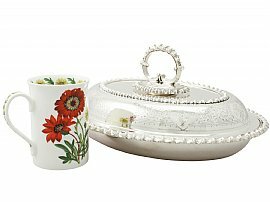 The bright cut engraved decoration to each piece is very crisp and the applied decoration is very sharp. 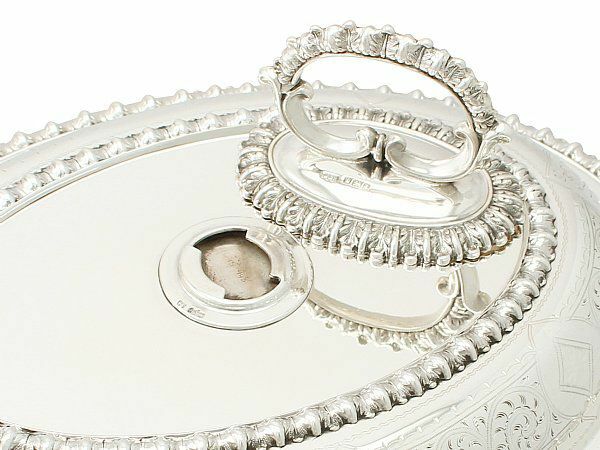 Full hallmarks struck to the interior of the base, the surface of the covers and the handles of each piece are all very clear. 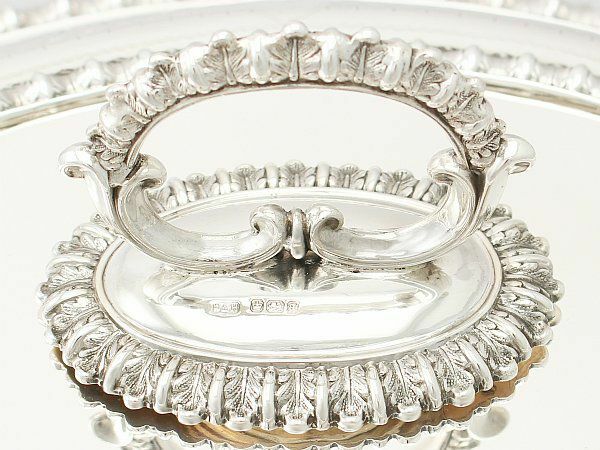 Reflections in photographs may detract from the true representation of these pieces of Victorian silverware. Height to top of handle 14cm/5.5"